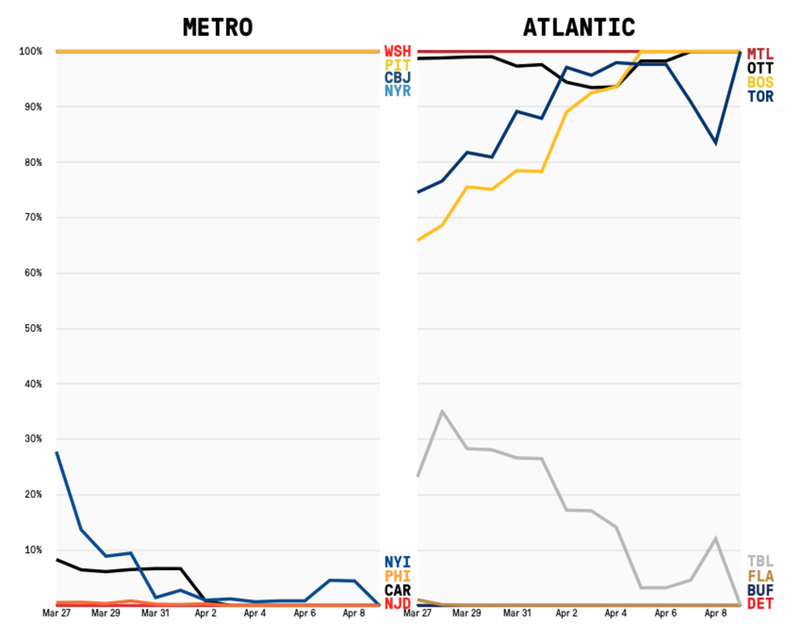 Each team’s projected points and playoff chances based on 10,000 simulations of the remainder of the season, a methodology of which can be found here. Updated daily before noon. Change denotes the change in playoff chances from the previous day which can be caused by game results from the previous and/or a change in team strength. Clinched teams are denoted with a check mark under the probability column while eliminated teams are denoted with an X. Last updated: April 9, 2017, 12:45 p.m. 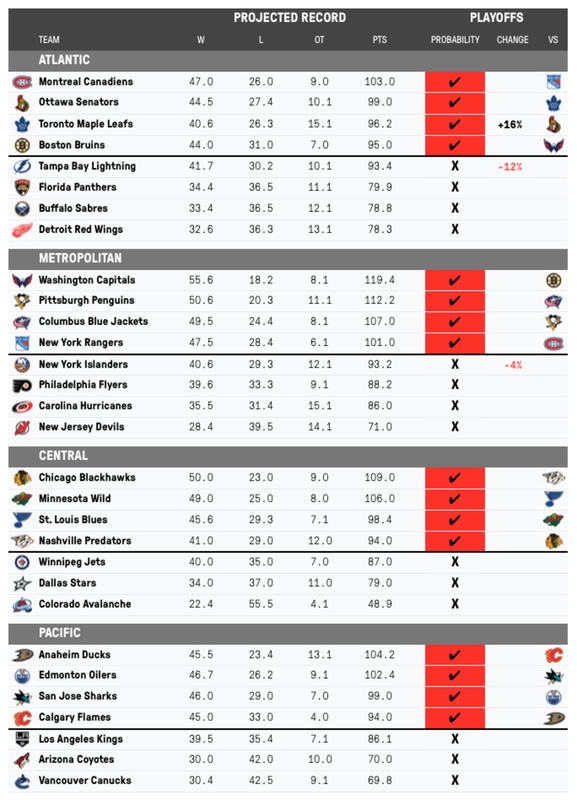 The NHL playoff chances generator was created by Dom Luszczyszyn. Check out more of his work on his website.